1) Is it Captain Marvel, Professor Marvel or Mister Marvel? 2) What knocks Dorothy unconscious during the twister? 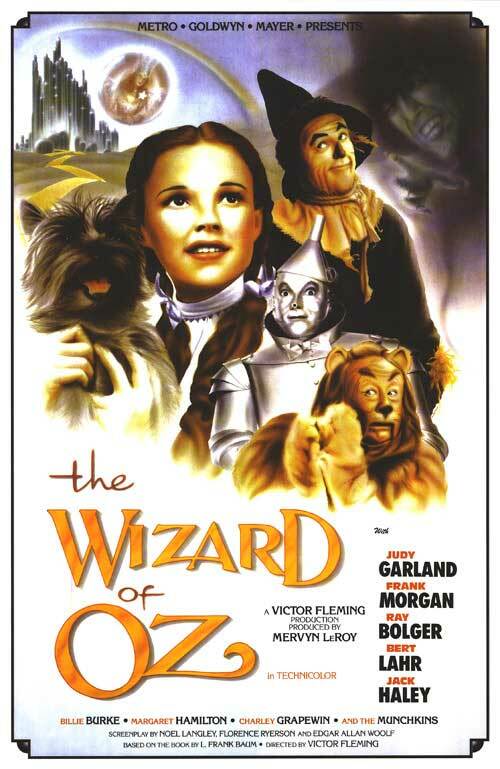 3) What TV show that aired during the 2000’s use the name of a Wizard Of Oz supporting character as a pseudonym? 4) Which famous comic actor did MGM want to play the Wizard? 5) What colour are the Wicked Witch of the East’s socks? 6) What are the names of the 3 Kansas farmhands who become the Scarecrow, Tin Man and Lion respectively (one of whom Bev revealed in the podcast)?